Hamilton May presents a high standard apartment located in a renovated tenement building with lift on Sw. Tomasza Street just minutes from Krakow's Main Square. For sale, a spacious apartment located in the heart of Krakow on Krupnicza street. The apartment is on the 1st floor of a renovated building. Two-bedroom apartments are an increasingly popular apartment type in Krakow, so Hamilton May always has a good selection of such apartments to buy in the central suburbs of Krakow. An apartment with two bedrooms is referred to in Polish as a three room apartment, as often a room will serve two functions – as a living space during the day and a bedroom only at night. 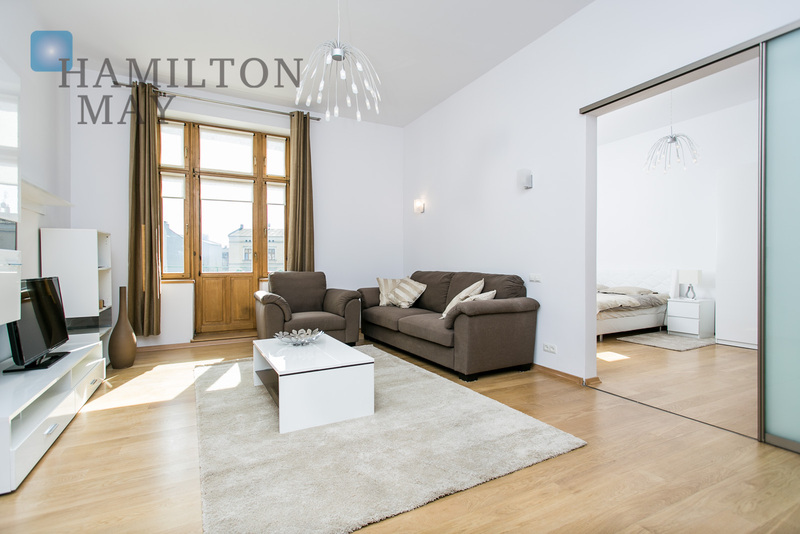 Due to the increasing number of two bedroom apartments available in Krakow, Hamilton May always has a comprehensive selection of such apartments available for sale. Two bedroom apartments can be purchased in all parts of Krakow, from the old town to the suburbs, and in various standards, from basic to luxurious. In the most popular developments, there will always be a good selection of two bedroom apartments for sale. The price for two bedroom apartments is determined more by the location and standard of the apartment rather than the size. The average prices of good standard two bedroom apartments in the Hamilton May offer are generally around 600 000 to 800 000 PLN. Generally, the larger the size of a two bedroom apartment, the lower the price per square metre will be. This is due to the fact that buyers often look for this configuration in the smallest overall size, which will be more affordable. In most modern developments, buyers of two bedroom apartments will also be able to buy at least one protected parking space with their apartment.